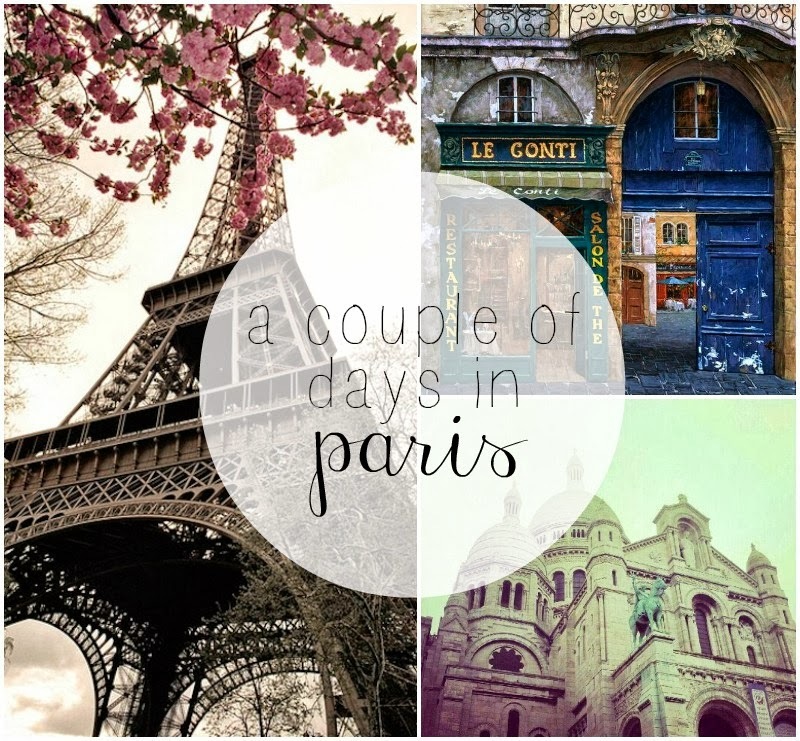 This time next week I will be in the gorgeous city of Paris with my good old pal Kat. I've been to Paris twice; once with school in year eleven, and once with the boyfriend about six years ago... I can't wait to visit again! Kat and I are doing a day in Disney, then a day in Paris itself for exploring and the usual touristy thing. Squeeee! Now I love Paris for all the usual reasons; the architecture (I love buildings now I'm closer to 30 than 20), atmosphere, beautiful city scenes and most importantly; the food. The French know what it's about! What I'm asking you, is where's good to go? Is there anywhere we should head for good food and a great atmosphere? We're planning on doing the whole jump-on-jump-off bus thing just for ease of getting as much done as we can, so open to any suggestions of 'must sees'... and also what you would avoid? I'd love to hear from you! It's been a few years since i've been but Val D'europe was great! It's a shopping centre with designer boutique outlets and a Sea Life Aquarium. It's only a short train ride from Disney so it's definitely worth checking it out! Wander round Le Parc Buttes Aux Chaumont for a slightly quieter, less touristy bit of greenery. And stroll along the Promenade Plantee - a disused raised railway track that's been planted with lots of foliage. Of course go to Montmartre (the Christmas markets will be starting up soon) but avoid buying anything from the foot of the Sacre Coeur or the Place de Tertre as it'll be pricey and not too brilliant - head back a couple of streets and stop instead! There's a couple of very cute vintage stores a few streets over too! Go drinking in Obkerkampf/Bastille and take advantage of the happy hour cocktail deals. If you fancy some culture and art, most places are free for under 25s if you show them your passport (this includes Arc de Triomphe, the Louvre, the other museums, and a discounted rate for the Eiffel Tower - which you should do at night!) If you're feeling a bit silly, try a boat party, and make sure you hire the Parisian equivalent of the Boris Bike (the velib) to get around! Check out the vintage shops in the Marais/Hotel de Ville/St Paul areas and grab a shared table at Chartier, near the Grands Boulevards. Make sure you check out any street markets and the rue des Martyrs in the 9eme is full of cute delis. Wow...got a bit carried away there, sorry! I lived in Paris for a year and now very jealous that you're heading over. You'll have an absolute ball! Aww have an amazing time chicks! It's ages since I last went to Paris (I think it might have been 8 years ago just before my French GCSE with my mum) but I remember visiting the amazing old arcades and stopping for hot chocolate at the coffee shops - there's one in every arcade! I love those jump-on/off buses. Hope the weather is gorgeous. Ah you'll have a blast! My friend and I did the same thing earlier this year - Disney and sightseeing/shopping. If you're a fan of vintage clothes DEFINITELY got to The Kilo Store - all the clothes are priced by weight and you can get some absolute bargains. It's been a long time since I went to Paris and I'd love to go back now I'm a bit older. When I went I really liked Notre Dam - it was beautiful and very tranquil inside. Montmartre is also great to look around and you can't go to Paris without stopping for a crepe (or three!) at a Creperie! The palace of Versailles is also beautiful to look round if you have time. With regards to Disney, I don't know of you've been before, but if not I can't explain how fab it is, whatever your age! Some of my favourites were the Buzz Lightyear ride, the parades (especially the evening one with all the lights and fireworks over the castle) and obviously collecting as many autographs as possible!